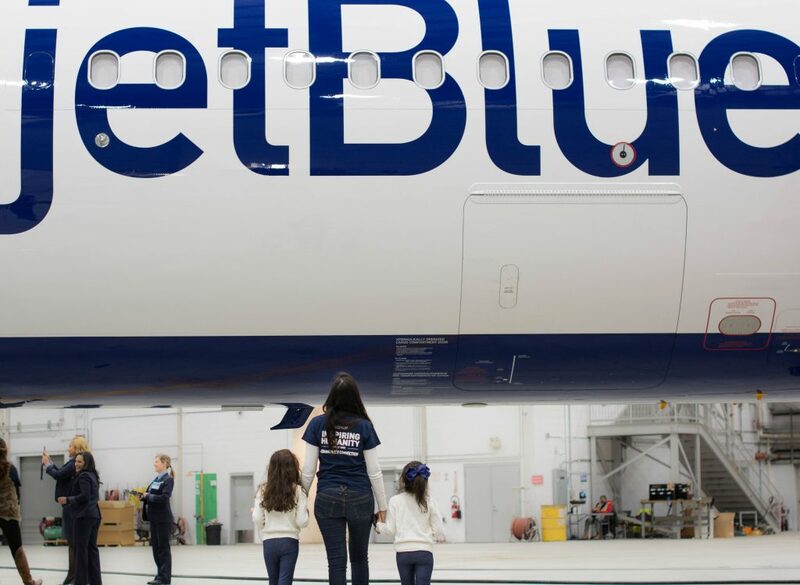 Earlier this month, Women in Flight partnered with the JetBlue Foundation and the Diversity & Inclusion team to host Fly Like a Girl. 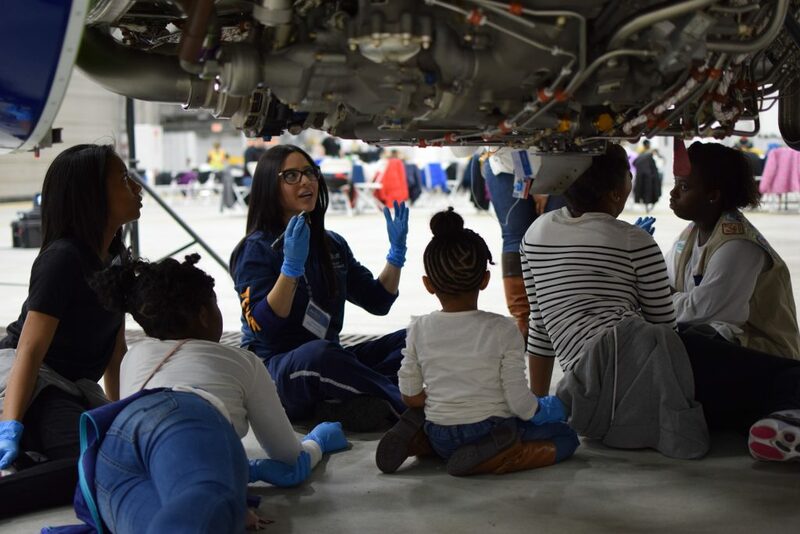 Now in its third year, the event brought girls – ages 8 to 12 – to the JFK Hangar to hear firsthand what it’s like to work in aviation. 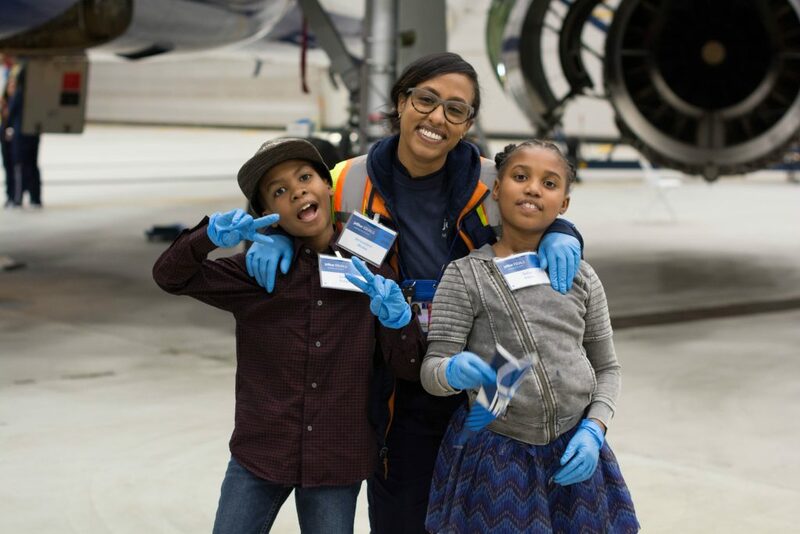 Over 75 young women were in attendance, which included daughters, sisters and extended family of our crewmembers – and yes, even a Girl Scout Troop! The girls rotated among three sessions: In the Air (Inflight & Flight Operations), On the Ground (Tech Ops) and In Between (Support Center). Crewmembers offered insight into what they do in their roles. The day included programming aboard our “Mint to Soar” A321 aircraft, with crewmembers Q&A, engine “show and tell” and opportunity to jump into the Captain’s seat! Thank you to all of the volunteers who spent their Sunday afternoon with us to help educate and inspire young girls – we couldn’t have done it without you!